A reliable locking system was required to protect remote, dispersed premises. 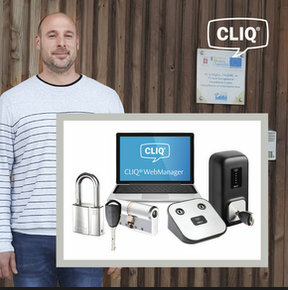 CLIQ® key-based electronic access control was chosen by managers, securing all 13 sites with padlocks and cylinders and programmable keys for authorised staff. The CLIQ® system prevents physical keys from being copied then reused without authorization but also allowed flexibility to allow easy public access to all sites during business hours, and to offer tailored access at designated times to maintenance staff, contractors or supervisors. This also enabled better workflow management for mobile security staff – some are based up to 25 km from sites they protect. The impact was instant: “The number of burglaries has been reduced in a spectacular way,” says Hervé Begaud at the Communauté d’Agglomération La Rochelle. “We used to report damages every week. Now, we have had a single, failed, attempt on a cylinder in the last 6 months,” he adds. Programmable CLIQ® locks are key-operated and wireless — a standard battery inside every CLIQ® key powers the microelectronics — so new cylinders and padlocks can be deployed almost anywhere. The system enables security guards to carry one single CLIQ® key programmed to open only specified locks. In addition, it’s easy for security administrators to update any key’s access permissions using the CLIQ® Web Manager software. Should anyone lose a key, its access rights can be deleted, so there’s no need to replace any locks!